State Minister of Finance Eran Wickramaratne is to hold key talks with the International Monetary Fund (IMF) in Washington on the sidelines of the Spring Meetings 2019. The State Minster is presently in Washington DC to take part in the Spring Meetings 2019 hosted by the World Bank Group (WBG) and IMF to discuss issues of global concern, including the world economic outlook, poverty eradication, economic development, and aid effectiveness. 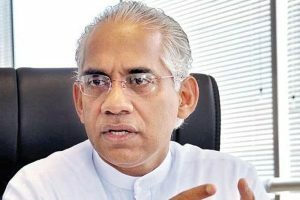 Commenting on the present economic outlook for Sri Lanka, Wickramaratne noted that over the past years, the IMF and World Bank have assisted Sri Lanka in building a sound foundation of fiscal deficit and bringing down budget deficit from 7% to 5.5% of GDP, which is to further improve in 2019. “The Central Bank acting independently on the monetary policy has kept inflation under control; it is on this foundation we will continue to build on,” he stated. He further stated that with Sri Lanka placed among The Vulnerable Twenty Group (V20), finance ministers representing the countries will take part in technical sessions during the event to address environmental issues and how economies become systematically vulnerable to climate change in the years to come. 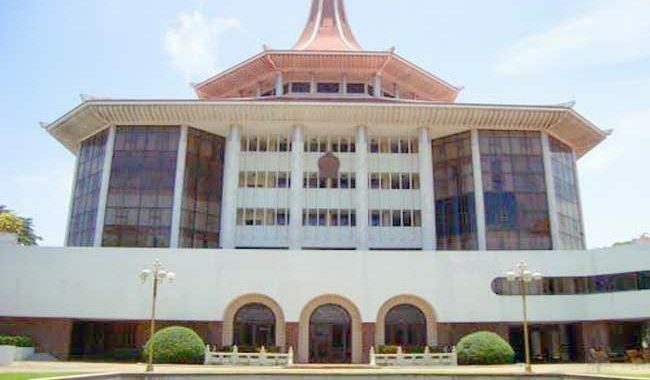 Wickramaratne stated that he will be taking part in these discussions to take the opportunity to dialogue with the IMF, the WBG, and other developmental partners about tackling climate change whilst building a sound fiscal and economic foundation in Sri Lanka. He is also scheduled to meet with several potential investors during this visit. The 2019 Spring Meetings commenced on 8 April – and is to conclude on Sunday, 14 – was attended by central bankers, ministers of finance and development, private sector executives, representatives from civil society organisations, and academics from the participating countries. The annual meeting will take place in October. An order delivered by Supreme Court yesterday (18) has made it clear that state institutions must be more considerate in their access and services available to the differently abled individuals.